The forecast for the District of Columbia for the next several days is in the 90s. Face it, it's HOT out there! Thankfully, there are plenty of public pools for kids to use so that they can cool down in DC over the summer. Most of these pools are free or charge a small admission fee. After June 22, DPR's outdoor pools are open daily. Before bathing the kids in sunblock and leaving your home though, be sure to check the schedule online since all pools are closed one day a week for maintenance. Additionally, there are spray parks where kids can run through these fountains and play with friends. 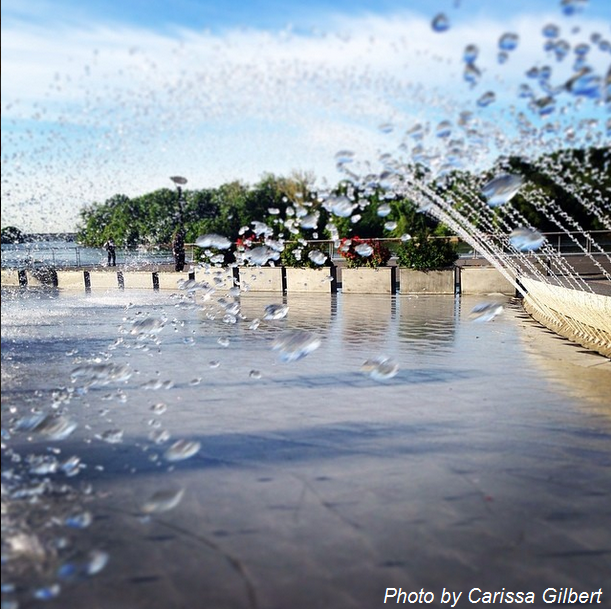 Check out Georgetown Water Front Park, Yards Park, Canal Park, and naturally, DPR's spray parks. The Department of Parks and Recreation has opened their spray parks a week earlier than planned in response to the heat and humidity. Learn what the change means in the press release.